I am very excited today to reveal a new & exciting spin that we are adding to the Papertrey Design Team for 2009. As our product line has been expanding, we have been looking at ways to get it into the hands of a variety of designers, all offering diverse view points to integrate with our signature style. To help facilitate this goal we are introducing the beginning of our Distinguished Guest Designer Series. We have hand-picked some of my all-time favorite paper artists to play with newly released products, each guest serving for a two month rotation. I think this will prove to be both an exciting & inspiring adventure that you can join us in! I was beyond thrilled when our first guest agreed to work with us for both the February & March releases. 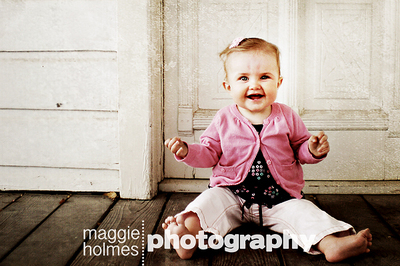 Maggie Holmes is a name you have surely heard before, especially if you are a scrapbooker. She has so much to offer and we are truly looking forward to seeing what amazing things she creates with our products in her hands. 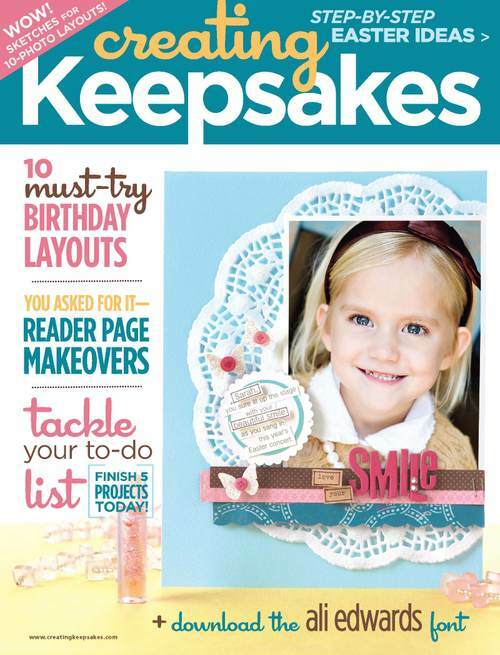 Maggie Holmes is probably most well-known for her lasting impressions in the scrapbooking industry, with one of her most impressive achievements being her selection as a member of the Creating Keepsakes Dream Team in 2008. She contributes regularly to the popular publication and has even had the esteemed privilege of being one of their cover girls (March 2008 issue)! Maggie's distinctive work also appeared in the 2008 summer book release, Sharing Your Story: Recording Life's Details with Mini Books by Ali Edwards. In addition to this already impressive resume, she has also been working with Making Memories for several years, contributing design work for use in their catalogs, idea books and other promotions. Photography is also an important part of Maggie's creativity. She works as a professional photographer in Arizona for her very own company, which she has built from the ground up (Maggie Holmes Photography). 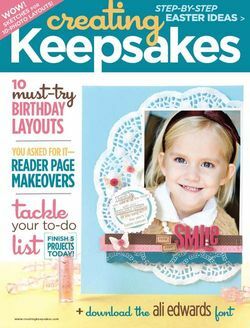 Her four adorable little ones are frequent subjects of her photographs, which in turn make stunning focal points for her scrapbook layouts and other projects. Maggie has captured my attention for some time with her eclectic style that involves layering, an art form that I have been trying to polish myself. Her end results are always so put together and really exemplify the phrase "a place for everything and everything in its place". She mixes elements from a variety of styles in each of her projects, unifying them with a common thread that always seems to *make it work*. I'm just crazy about her work and look forward to seeing what kind of magic she creates with some of our new stamp sets this month! Please join me in giving Maggie a traditional BIG Papertrey welcome! Stop by and visit her blog today, where you will also find a very special *giveaway*! DO NOT post here for a chance to win big, just visit Maggie's blog to enter! after 12pm (noon) EST, February 3rd. You can always access this list through the NEW! the list will also be updated daily in our customer forum. Be sure to tune in tomorrow for a big announcement pertaining to Hint #8 from earlier last week! I'll see you then! Yippee! I love reading Maggie’s blog and am thrilled that you’ve brought her on for a couple months! I can’t wait to see what Maggie does with your goodies. I’ve been a fan of her work for over a year now and always anticipate what she posts on her blog! Awesome choice! This is too exciting!! How fun to find new blogs and people to enjoy. Great choice Nichole, I’m a big fan of her work too. Maggie’s style is very cool, and her photography stunning! Congrats Maggie! 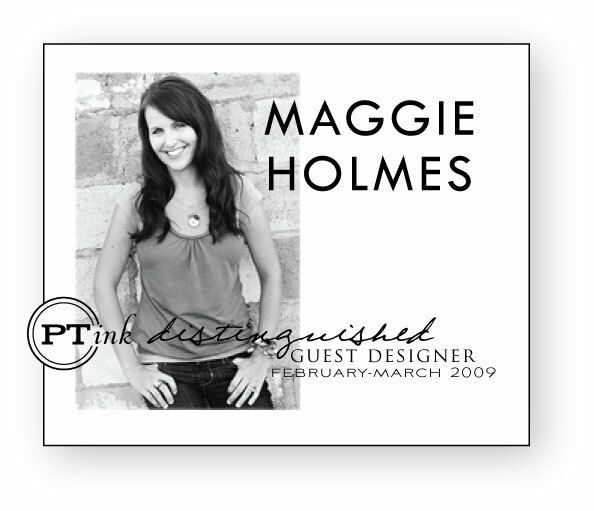 Cant wait to see what you have to offer PTI as a guest designer! loving your party so far and you make everything so much fun. Could you in future refer to 12 o’clock as 12 noon or 12 midnight? There is no such thing as 12 am or pm. I’m kinda confused. look forward to more adventures with your great company! Happy birthday!! Nichole… you’re just pulling out all the stops this week aren’t ya! What a great choice in Maggie, can’t wait to see some of her designs using PTI. So a scrapper does that mean more awesome scrapbook products for the PTI line? Wonderful addition to an already FABULOUS design team! Maggie’s photography is absolutely beautiful. Wow! I can’t wait to see what Maggie does with Papertrey products! Oooo what a fun idea to have some guest designers every few months. Great way to get your company out there as well! THANKS for sharing so much for your two year anniversary!!! I am excited and I LOVE Papertrey Ink! Just wanted to say thank you for the way you include all of us in your anniversary celebration. The idea of guest designers is inspired and all of these give-aways are so generous. Many Thanks! No wonder you’ve had the success you’ve already had. This is great fun! I am such a huge fan of Maggie’s work! I can’t wait to see what she has up her sleeve! What fun! Sure am glad February is here!!! I don’t think I could stand anymore suspense!!! Thanks for making this so much fun! And THANK YOU for everything else you do – it is both appreciated and enjoyed!